Showing results for tags 'captain skill'. Hi all Just wondering why my Massachusetts IFHE captain skill is now crossed out? IS there a suggestion that is doesn't work now on the secondaries or is this an error? Sorry, I am bit late to the party of RN Cruisers and have reached Leander (which am in love currently!) My captain has now option to get the 4th captain skill which is either DE, AFT or Survivability Expert. And to me, none of them make sense. DE is out of question because of no HE. AFT is maybe so-so but the lack of CVs on T6 makes me wonder if this is a waste of skill point. Survivability Expert sounds great but 400x6=2400 HP extra points sound inviting but meh. What have you guys trained your captain for RN Cruisers for this tier? I absolutely want the Concealment expert for T5 so I have to take 1 T4 skill. Makes me wonder why WG does not introduce 1 captain skill at this tier to suit the current Cruiser population. Thanks! Hi all, How many 19 points captains do you have? (February 2018) BTW, I have 5 and I got them in this order: Germany ("Bismarck" / "Tripitz" / "Scharnhorst" / "König Albert") US ("Montana" / "MIssouri" / "Alabama") UK ("Edinburgh" / "Belfast" / "Nelson" / "Duke of York" / "Warspite" / "Campbeltown" / "Gallant" = "Jack Dunkirk" <- specced for "Belfast" and compromise for others in one way or another although it is not bad) Japan ("Amagi" / "Musashi" <- very close to get her = "Yamamoto Isoroku") Russia ("Shchors" / "Mikhail Kutuzov" / "Oktyabrskaya Revolutsiy" <- specced for cruisers and compromise for battleship although it is not bad) BTW, I posted same thread 6+ months ago: and we had 250+ poll entries but the poll results are not showing any more (perhaps the forum software change accidentally deleted them)... Leo "Apollo11"
description of skill: -Keen Intuition, displays, only to you, the direction of the nearest enemy to your ship, even if the enemies are not spotted ok i know this is not official info, but if it gets to be official, it will be too late to change it for at least 1-2 updates. if it gets to public test in this state it will be incorporated into live server. personally i find this skill utterly broken against any class that relies on stealth (dd and ca primarily). also it makes smoke redundant (specially for RN) and it will almost point where to aim for kills. Do you use "Adrenaline Rush" Captain skill on your BBs? HI all, Do you use "Adrenaline Rush" Captain skill on your BBs? Adrenaline Rush Increases reload speed of all armament as the ship's health decreases. -0.2% to reload times of all types of armament for each 1% of total health lost. If we take, for example, 30s reload time of main guns (very common value for BBs) the reload speed is: 100% HP = 0% "Adrenaline Rush" = 30,00 seconds reload 75% HP = 5% "Adrenaline Rush" = 28.5 seconds reload 50% HP = 10% "Adrenaline Rush" = 27.0 seconds reload 25% HP = 15% "Adrenaline Rush" = 25.5 seconds reload 10% HP = 18% "Adrenaline Rush" = 24.6 seconds reload Leo "Apollo11"
The captain of my Iron Duke has just reached 10 skill points, 4 of those not yet used. Having the colossal British HE superiority in mind, I assumed it would be good if he learned how to penetrate better with high explosive (if you read this perversely, your military equipment consists of a baguette and a white flag). But, although the reduction in the chance of setting a fire is small, it might tip the balance, as I have good experience with the Fire Prevention skill on a Fuso. So: is Inertia Fuse awesome on British BBs? Is there a better skill to spend 4 points on? Can player, with update v0.6.13, actually "free respec" the 3 captains of "rental" Tier X ships (2 IJN and 1 KM)? HI all, Can player, with update v0.6.13, actually "free respec" the 3 captains of "rental" Tier X ships (2 IJN and 1 KM)? https://worldofwarships.eu/en/news/updates/patch-0-6-13/ Leo "Apollo11"
War gaming has recently given us a very generous discount on captain skills. I have gone through most of my captains, respeccing them for battle. I managed to give my CV captains the rear gunner skill and now my USN DD captains have the torpedo acceleration skill I always wanted. Apart from that, I just had to move my first skill point to BFT. When I reached the Fubuki however, I paused for a moment. Below, I have laid out my thoughts for your consideration. Now the standard choices for destroyers have always been quite simple: Last Stand at tier 2 and depending on the nation usually Demolition Expert, Advanced Firing Training, or Survivability Expert is taken and these choices are normally accepted as the correct ones. AFT is great for harassing battleships and even cruisers at max range of the SN destroyers, DE is greatly beneficial to the high speed USN guns as it nearly doubles their chance of fires, and the SE is great for all destroyers but especially the IJN ones due to their small health pools. With the new patch however, I have began to consider more possibilities in regards to the IJN DDs. Currently, IJN DDs don't have a niche that they occupy. They carry some of the best torpedoes in the game, but USN torpedoes and higher tiered SN torpedoes are nothing to sneeze at and in both examples they can be launched from invisibility with the prerequisite upgrades that all destroyers take when they can. USN DDs can act as AA support for BBs and then can quickly shift to work as capping boats, torpedo boats, and gunboats. The SN can protect their fleet against enemy DDs with their rapid firing guns and they can then shift to aggressive capping vessels. This means however that IJN DDs are left somewhat wanting at the higher tiers. Not to say they are useless of course, the relative invisibility of IJN DDs is an invaluable trait. IJN DDs have the highest HE alpha of any destroyer, their shells are virtually cruiser tier or better at times. 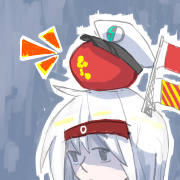 I have recently seen some players of late shred gunboat destroyers that are meant to be the predators of IJN DDs by playing to their strengths and annihilating the destroyer from other nations using heavy maneuvering that comes with having a ship with relatively slow reloads. This, in many ways, makes me think of the Zao. She has slow reload speed, slow turret rotation, a small HP pool, and good but not excellent maneuverability (from my admittedly very limited test server experience) but nevertheless she is one of the best performing ships in the entire game by firing HE from stealth. IJN DD guns have two strengths and two weaknesses as far as I can see. The arc is flat and the alpha is devastating but the rate of fire is rather poor and the turret rotation is bad. The first flaw can't really be addressed without making the line completely ridiculous but Expert Markman will significantly improve the 127 mm IJN guns. I recently verified that my Fubuki will be able to fire from invisibility at 10.1 km without Concealment Expert. With AFT and CE, this would extend my firing range to 12 km and, if my calculations are correct, would bring down my detection range whilst firing to 9.5 km, giving me a 2.5 km region on invisibility which is generous even with the relatively poor maneuverability of IJN destroyers. BFT brings my primary artillery reload speed to 8.1 seconds which can be brought down to 7.1 seconds with the tier 9 reload speed upgrade. Even if these statistics aren't particularly useful against other destroyers, the faster turret rotation would make the IJN DDs much more competitive in DD on DD fights and the artillery skill can be used to harass battleships and even cruisers to great effect whilst waiting for the two minute torpedo reload or whilst on the transit from one cap to another. I personally have great games with my Kamikaze using my Amagi's captain who has both AFT and EM. Due to the recent nerfs to Last Stand, I personally burn my damage control when I'm no longer detected because the disadvantage that a semi-broken engine and rudder can prove to be terminal with a ship as small and fragile as an IJN DD which means that whilst it might take some adjusting it may be possible to play DD games without Last Stand which many have opted to do when it was still a tier 4 skill. The question I want to ask here is therefore quite simple. Is it worth trading either LS or SE for AFT or EM? Whilst I have great games in both ranked and regular battles with my Kamikaze with that configuration(If I ever repurchased a Minekaze, I would give her the same configurations I have on my Amagi captain), I am also aware that higher tired meta is significantly different from lower tiered meta and so I came here to hear some other opinions. I wanted to ask for advice from more experienced captains out there as well as everyone else. What are your thoughts? Hi all, Do you use "Vigilance" Captain skill on your ships? I used to use it much more months (actually 1+ year ago) ago but now I find myself very rarely using it on my ships... the general map / threat awareness simply made it "obsolete"... Leo "Apollo11"